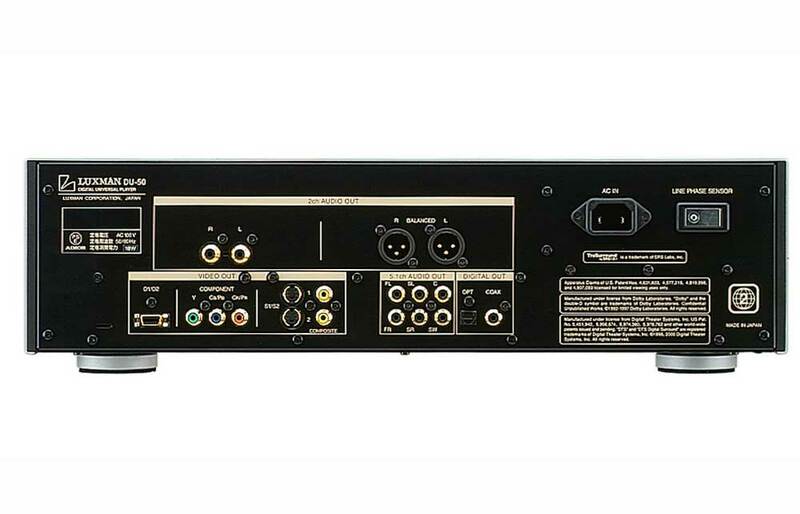 Luxman first introduced a Fluency DAC back in 1987 (the DA-7 won a Grand Prix Award from Stereo Sound in Japan). 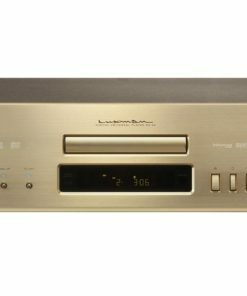 Since then the Luxman digital players have been further refined to produce a rich, musical presentation, complete with an enormous 3-D soundstage. For Stereo playback, the DU-50 is equipped with a Fluency Digital Analogue Converter (DAC) that has a wonderful relaxed, analogue like presentation. The DU-50 throws a huge 3-D soundstage; the musicians are laid out in front of you so realistically, that if you close your eyes, you will feel that you can extend your arm & touch those in front.. It is no surprise that the emphasis is on sound quality, it’s video performance is a bonus. The video circuitry may be turned off from the front panel. 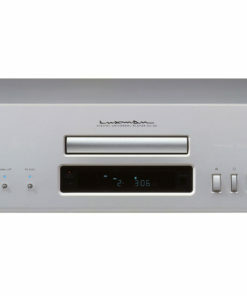 A choice of two different audio DACs (digital to analogue converters) are on board; Shannon and Fluency (FE), the button on the left hand side of the display allows one to chose between them while the music is playing. Please allow the player to warm up for a few hours before serious auditioning. The differences are not subtle ! 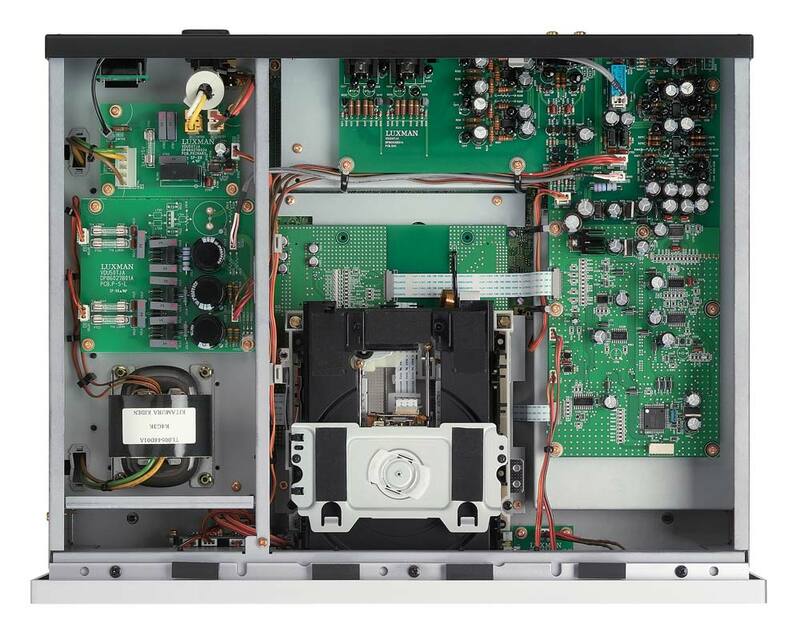 Below is a comparison between the Fluency (FE) and the Shannon audio digital-anlaogue converters on board the DU-50. 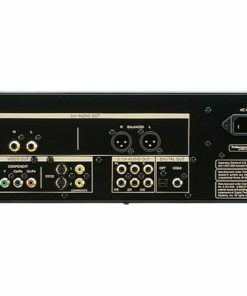 Here is a clever device found on the back of every Luxman powered product. You press the button and it will check the phase of the electricity it is receiving. If the AC outlet in the wall is incorrectly wired, meaning the live and neutral are swapped, a red LED will turn on to warn you. You only need to press it once, when you are installing a product to check that everything is in order. Its a simple mistake, that occurs often, and one that can seriously undermine your listening enjoyment. It will load, read the table of contents and play any compatible format disc in seven seconds. 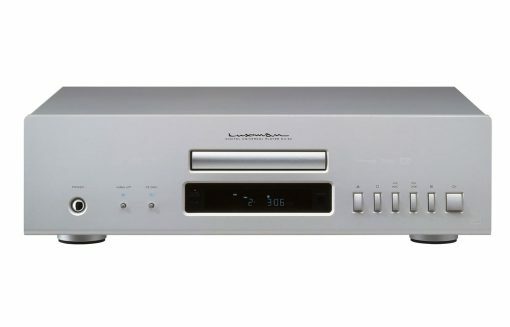 In 1987 LUXMAN introduced the DA-07 Fluency DAC and DP-07 separate CD Transport. Fluency DAC was an application of the function interpolation theory developed by Dr. Toraichi, a professor at Tsukuba University, Japan. The DA-07 became a sensation because its high-speed DSP permitted recreation of the frequency range not recorded on a CD. The Fluency Theory not only considers the reproduction of continuous sine waves but also the reproduction of impulse waves as well. See the test response above. 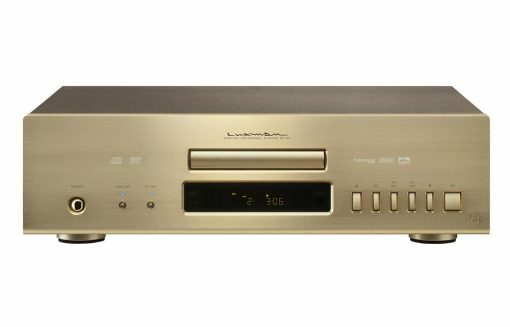 As processing power has increased over the intervening two decades, so too has Luxman’s ability to harness this unique technology to produce remarkably natural music. A long standing belief was that the upper limit of human hearing was around 20 kHz. In real life, however, information beyond 20 kHz frequencies exists, and it is generally recognized that the presence of this information can significantly enhance the listening experience. While we may not hear the first order harmonic, we can hear the lower order harmonics, underneath. When a CD is recorded, on account of the limitations of the 44.1 kHz sampling frequency, the audio upper limit is restricted to 22 kHz. Using the Fluency theory and the DSP on board, permitted recreation of the high frequency range previously stopped by the brickwall filter in regular DACs. (See graph below) The listener finds it easier to distinguish the sounds of individual instruments, even when many instruments are playing at the same time, and the quality of recorded reverberation is significantly improved, resulting in greater realism, the sound is more relaxed and a much closer reproduction of a live performance. The difference between a non-oversampling DAC and a conventional oversampling DAC with the digital filter lies whether you attach importance on the accuracy in the time domain or in the frequency domain. In other words, whether you choose the musical performance or the quality of a sound. This trade-off line defines the boundary of the current digital audio format . A natural, stress-free sound that communicates the musicians’ intention directly to you; that is the sound of a non-oversampling DAC. The feel of this sound is closer to that of analog reproduction. This is just one of the milestones in Luxman’s 82 year history, with many more to come. 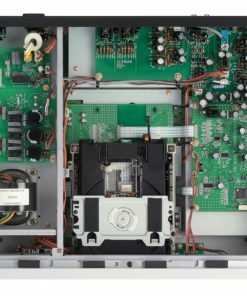 What is clear in retrospect is that Luxman products have always successfully combined the latest electronics engineering and aesthetic designs for high performance and a finely crafted look, without making any compromises. In terms of performance, we build our products to deliver natural sound that brings a spiritual serenity to the listener. And in terms of aesthetic, we stress the interplay of light and shadow, so the Lux products present a solid, sculpture-like impression. The merging of sensibilities and technology to give a product its unique personality, that is and always has been our philosophy at Luxman. The Fluency DAC is best applied to a redbook, stereo PCM signal, namely CD or equivalent datastream, such as digital radio. Compatible Formats: DVD audio, DVD video, SACD (multichannel, stereo), CD, MP3, Dolby Digital & DTS. “…when I played a great SACD such as Gretchaninov’s Passion Week using the DU-50’s balanced outputs into the L-505u’s balanced input, it really sounded more like a million bucks than nearly $5,000.